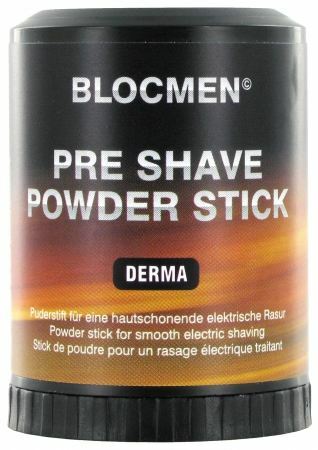 BLOCMEN© Derma is a Pre-Shave Powder Stick which is proven for decades. It is applied onto the skin before dry shaving and allows a specially smooth shave. Suited for sensitive skin. BLOCMEN© Derma with its water-binding properties absorbs moisture and thus sweat and grease on the skin. Due to this and the soft properties of the powder, a gentle gliding of the electric shaver is made possible. Thus it helps to avoid redness and skin irritation. BLOCMEN© Derma does not contain any fragrance or colorants and and is thus suited for sensitive skin. BLOCMEN© Derma is ideal for use after showering, especially because here the skin moisture is increased. BLOCMEN© Derma is based on talc. It can be used with any electric shaver. The gentle and soft properties of the talk ease the slide of the electric shaver, thus less force of friction occurs, which tends to reduce abrasion and energy consumption. Compared with other pre-shave products BLOCMEN© Derma disposes of a dry dosage form. BLOCMEN© Derma has been used worldwide for many decades now, for a specially dry shave without skin irritation. BLOCMEN© Derma is applied on the skin before the dry shave. 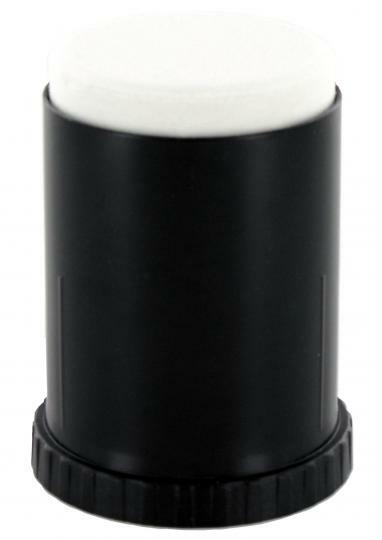 If the first powder layer is carried off the powder supply is regulated by simply just pushing the bottom of the applicator without positions. After the use the powder rests on the face can be removed either with or without water. BLOCMEN© Derma prepares the skin ideal for the electric shaving. Talc, the main component of the powder stick, has water and moisture-binding and soft properties. In addition to the erection of the beardhair,the skin with sweat and grease is neutralised and allows a smooth sliding of the electric shaver. Redness or skin irritation does not occur. After shaving, the skin feels smooth and supple.